Some of the young designers showcasing at the Lakme Fashion Week Summer Resort 2018 are part of this programme including Akshat Bansal of Bloni and Sumiran Kabir Sharma of Anaam who showcased their collections today. Others like Saaksha & Kinni and Anjali Patel Mehta of Verandah who are also part of the incubation programme will be showcasing at LFW tomorrow. The incubation program will also feature creative design entrepreneurs in the sustainable fashion space. The key objective of WeWork is to create a world where people make a life, not just a living. WeWork builds workspaces of the future, by providing the best of design, technology and services to increase productivity, creativity and collaboration. Aside from their beautiful interiors, WeWork spaces are entirely serviced, allowing one to focus all their energies on delivering amazing work. The Fashion Incubation Program is a natural extension of WeWork’s mission to empower creators. It stems from the idea of creating a fashion and design hub, where upcoming creative entrepreneurs will be given the chance to turn their ideas into reality at the WeWork office spaces, through much-needed infrastructure and networking opportunities. All WeWork spaces include facilities such as Wi-Fi, unlimited coffee and beer, conference room access, daily events and space to curate pop-ups and most importantly, the chance to be a part of a growing community of young, progressive entrepreneurs who are game-changers in diverse fields. The spaces are carefully designed to create various environments that are suited to all types of work needs – from brainstorming areas and open spaces to unwind, phone booths for private conversations, and lounge areas to socialize to quiet areas and private cabins for teams small and large. Dedicated community teams create a sense of belonging for all the members, encouraging connections and cross-learning. Sharing his thoughts about the partnership, Ryan Bennett, General Manager, WeWork India said, “WeWork is a platform for creators and we truly believe in offering a holistic creative experience in our workspaces. 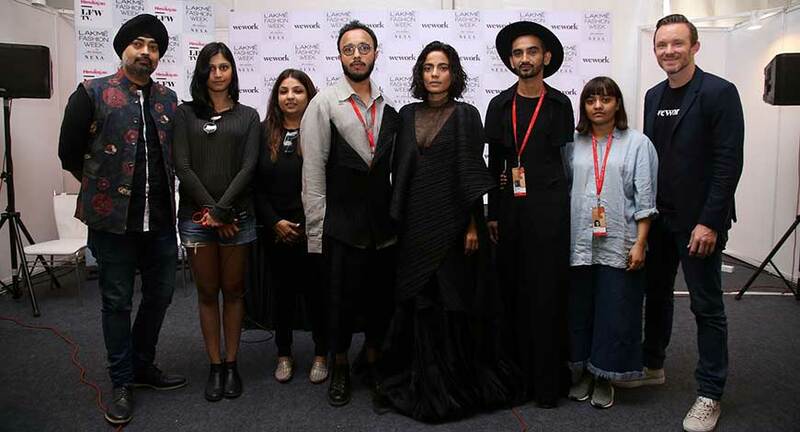 By partnering with Lakme Fashion Week for this incubation program, we believe that we are nurturing and encouraging some of the best creative minds that will go on to do their best work and will inspire our member community. As an integral part of the WeWork experience, our goal is to support and inspire our community in the best possible manner”.